Zip World is home to extraordinary adventures set in 3 stunning locations within North Wales. 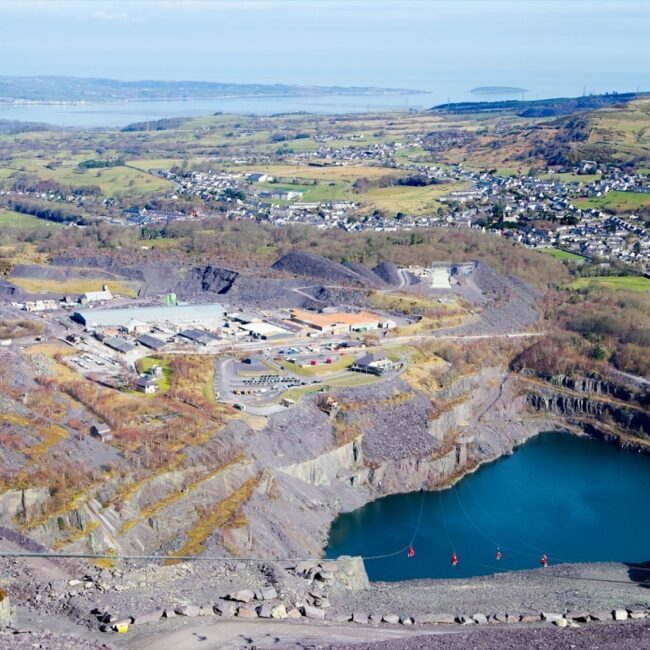 Set near the stunning Snowdon range, in what once was the world’s largest slate quarry, Penrhyn Quarry is now home to the fastest zip line in the world, Velocity 2, where you can fly 500m above the bright blue quarry lake. 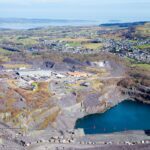 Learn all about the history of the quarry on the Penrhyn Quarry Tour or watch the zippers fly by from the Blondin Restaurant or Café. If you are after a corporate venue with a difference, The Gallery is a meeting space with a view like no other. Home to a wealth of slate mining history, Slate Caverns now houses world first underground and above ground adventures. 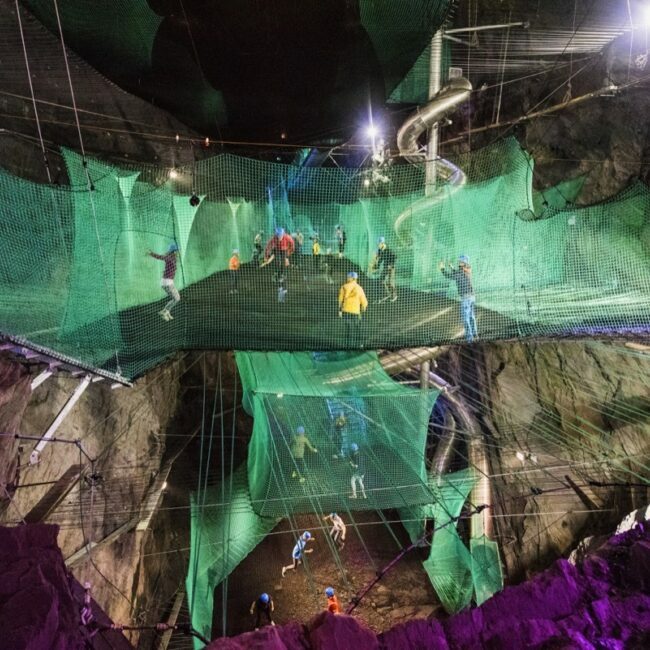 With views across Snowdonia from the top of Titan, where you can zip 1890m from half the height of Snowdon, to the world’s only subterranean playground of its kind, Bounce Below, and Caverns, the most incredible underground adventure zip line and adventure course – there is something for everyone in all weathers. In a stunning woodland setting nestled in the Conwy Valley, close to the iconic Snowdonia village of Betws y Coed, a host of forest adventures and foodie delights await. 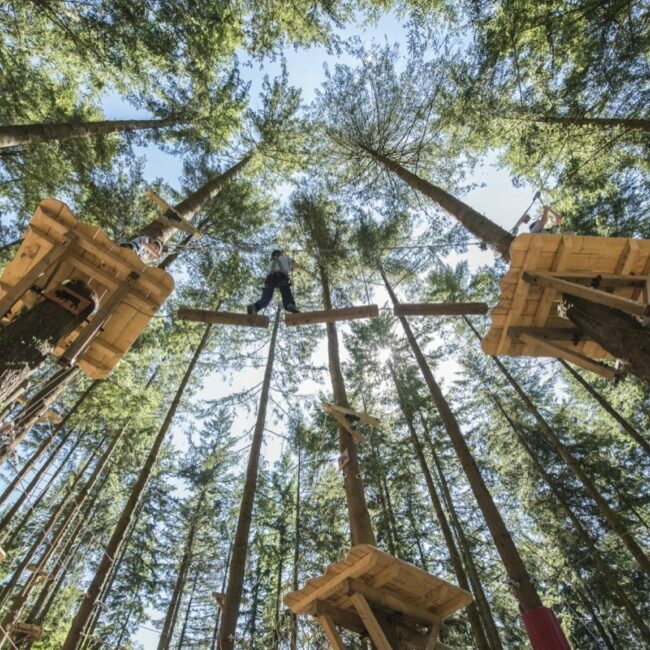 With adventures to keep the whole family busy all day, choose from the Fforest Coaster, the UK’s only alpine coaster of its kind, bouncing fun on Treetop Nets or zip line and adventure courses high in the trees on Tree Hoppers or Zip Safari – plus you could try Europe’s highest giant swing, Skyride, if you dare! Blondin restaurant- located at Zip World Penrhyn Quarry, Bethesda, the Blondin Restaurant is a bistro style venue, open 7 days a week, featuring locally sourced delights. The 150 cover restaurant offers a combination of indoor seating and an outdoor terrace with views across the famous slate mine and over the turquoise waters of the lake in Penrhyn Quarry. Just metres above the terrace is the fastest zip wire in the world, Velocity 2, affording diners the sight of adventure close up. Book your table today. Fforest Caffi - There is a mixture of traditional Welsh dishes with a modern twist and a variety of signature dishes. These incorporate locally sourced ingredients, with an emphasis on seasonal menus that are organic, healthy and allergy conscious. Zip World adventures offer something for everyone. 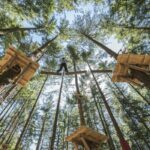 The unique experiences offer a perfect platform to build your teamwork, hold meetings, host parties or simply entertain a group. Our experienced Adventure Booking Team can tailor a bespoke package to meet your requirements. Email events@zipworld.co.uk for more information. Children’s Birthday Parties: Zip World has created the perfect children's party package to ensure an adventure filled birthday celebration.